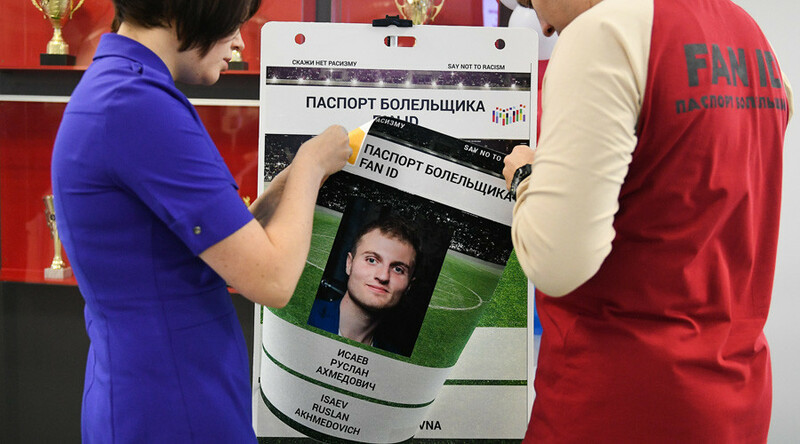 Around 100,000 fan passports - also known as FAN ID - have been issued for the FIFA 2017 Confederations Cup, according to Nikolay Nikiforov, Russia’s minister of communications and mass-media. The fan passports are an important component of the Confederations Cup, which will attract a predicted 700,000 fans, as they will give supporters access to matches and double as Russian entry visas for foreign fans. “There have been about 100,000 Fan ID passports issued, and a further 200,000 applications have been submitted,” said Nikiforov, TASS reported. The official was speaking during a visit to Kazan Arena, which will be one of the four host stadiums for the tournament. Nikiforov also said that Fan ID passports for the 2018 World Cup, held in Russia next summer, will be given out separately. Nikiforov said there have already been instances in which passports have been canceled. “There have already been some cancelations. I’m not ready to say how many, it’s better to put that question to the security services, but the fact is that there have been such cancelations,” Nikiforov confirmed. Some 37,000 security personnel will be deployed to the tournament to identify the appropriate security measures, and fan passports include built-in chips with information about the fans themselves. “It’s logical to check and know everything from the point of view of security history about every visitor to a large sporting or any kind of other event. Today, with the help of modern data technology, it’s absolutely realistic,” Nikiforov said. “It allows to carry out physical control much quicker, because theoretically we already know everything about every person, the level of risk by them is evaluated,” he added. The Confederations Cup is one of the major events in the world football calendar and serves as a precursor to the FIFA World Cup Russia 2018. In 2017, the Confederations Cup will be held from June 17 to July 2 at Krestovsky Stadium in St. Petersburg, Otkrytie Arena in Moscow, Fisht Olympic Stadium in Sochi, and Kazan Arena. It will be the first time the tournament is held in Russia.